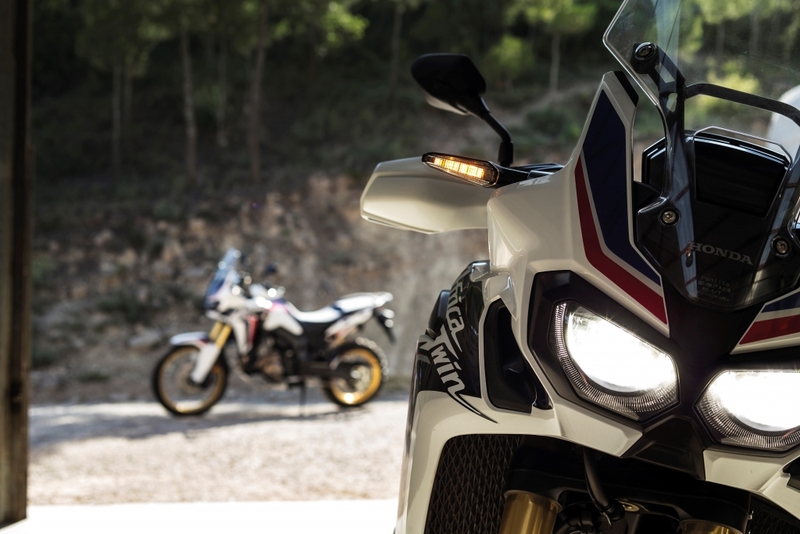 There aren’t many motorcycles that resonate with both fans of four-wheels and two but speak to any petrolhead about the Honda CRF1000L Africa Twin and they will likely nod in respectful agreement. After all, the original XRV750 of the late 1980s was based on a bike that went out and dominated the Paris-Dakar Rally not once but four times. 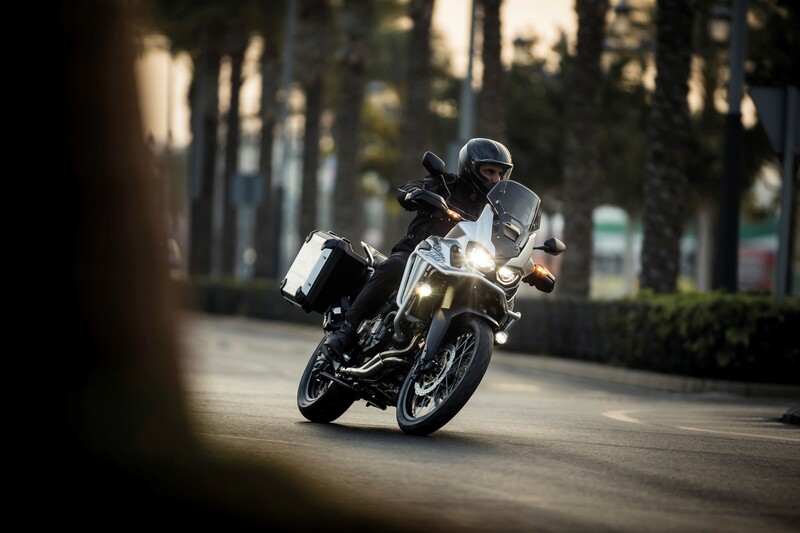 Unfortunately, the love for lightweight Japanese adventure bikes waned and the likes of Ewan McGregor and Charley Boorman sparked a craze for heavyweight, large displacement adventure tourers from BMW, Ducati and Triumph. In fact, it’s difficult not to spot a keen Long Way Down enthusiast when the bikers come out of hibernation in spring. They’ll be decked out in expensive matching waterproofs (even if it isn’t raining) and the touring helmets that make riders look like Master Chief from the Halo franchise. The truth of the matter is, the big adventure bike has become somewhat of a lifestyle accessory and most of these machines rarely tackle the airport run, let alone have their solid panniers stuffed with tents and taken across the deserts of Africa. It’s why the return of the Honda Africa Twin is such a welcome – and somewhat surprising – result, as the Japanese manufacturer does not beat about the bush when it claims this is a true adventure facilitator. It weighs just 232kg (with ABS specified), which is almost 70kg lighter than some of its bigger, best-selling rivals. It also feels narrower and immediately easier to manoeuvre around at slow speeds. Admittedly, I’m what some would refer to as ‘vertically challenged’ and, therefore, grew tired of commuting on my old Honda Transalp thanks to its ridiculously high seating position but the ‘Twin feels comfortable, if not a perfect fit. However, something is amiss. There’s the distinct lack of clutch lever. This bike comes fitted with the (optional) six-speed Dual Clutch Transmission, which requires the rider to crank up and down the six cogs via thumb-shifters located on the bars. Like its car counterparts with flappy paddle gearboxes, Honda’s offering can be ridden like a glorified twist-and-go scooter, albeit one with 93hp and a punchy 98Nm of torque, or set into a ‘manual’ mode for those who want to take control. 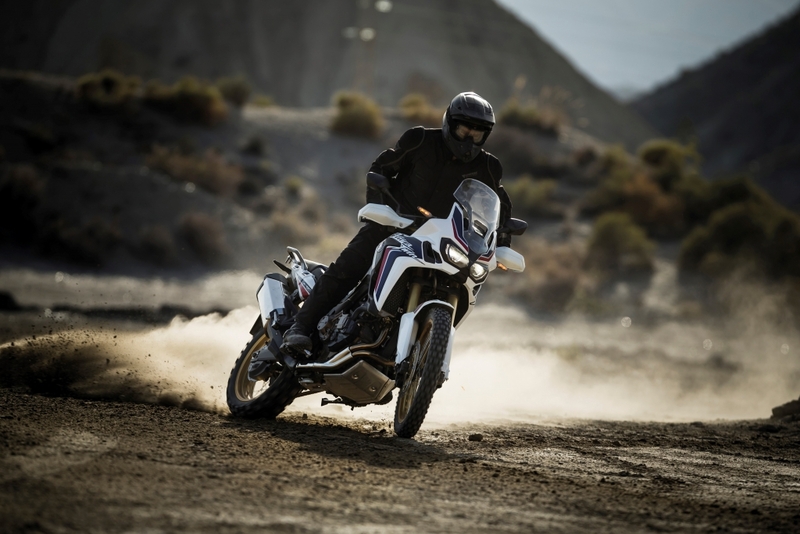 The notion is absolutely perfect for a bike of this nature: comfortable and cruisey around town but also clever enough to take care of the complicated stuff when a rider really needs to require on challenging off-road terrain. Granted, mud-plugging purists will likely roll their eyes but it will appeal to those perhaps getting into the dirty stuff for the first time. Personally, I found the whole set-up a little bit disorientating to begin with, often finding the gear selection wrong when approaching a roundabout and pining for a foot lever on the twisting back roads near home. But an old school manual ‘box is available to anyone who wants it and the rest of the ride is pretty much faultless. The engine is silky smooth, delivering plenty of grunt for rapid overtaking manoeuvres, while the comparatively slight frame feels stable and balanced when slicing in and out of city traffic. The optional hard luggage fitted to this machine look the business, too, perfectly complimenting the retro-inspired decals and suitably vintage gold rims. Those fancy flight cases can also be rapidly removed and used as hand luggage, which is great for those wanting the express travel experience a motorcycle affords. 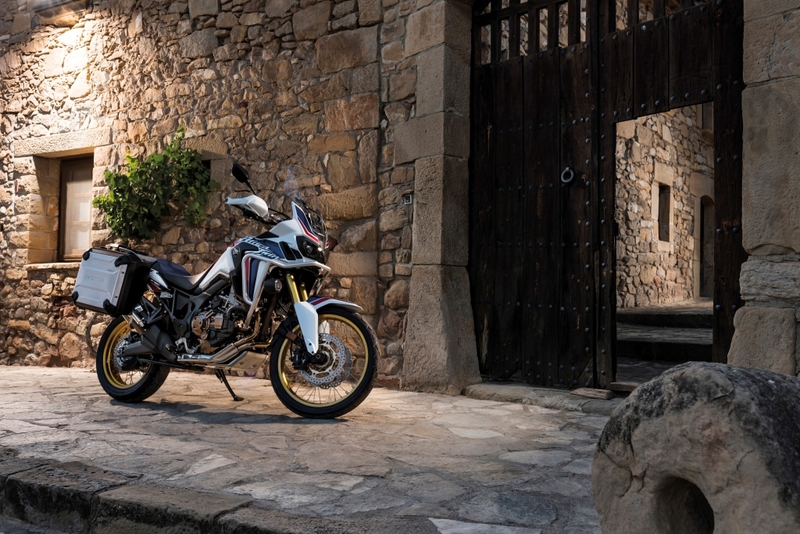 And let’s be honest, a near-£11,000 motorcycle is more likely to be used for the crawl to work or showy summer ride-outs than it is for serious trail riding. 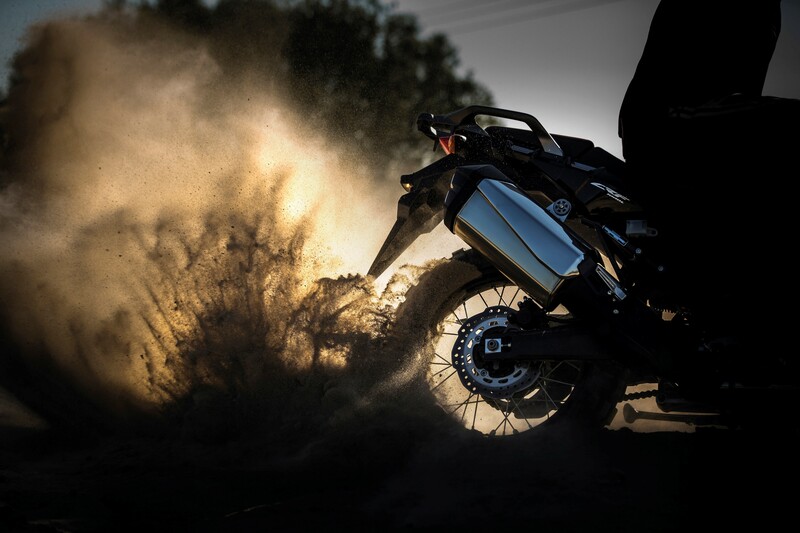 Despite this, just knowing the Honda Africa Twin’s pedigree and ability to tear up the back roads when required is enough to make it a very enticing prospect indeed.